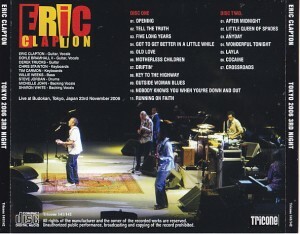 Live At Budokan, Tokyo, Jpaan 23rd November 2006. 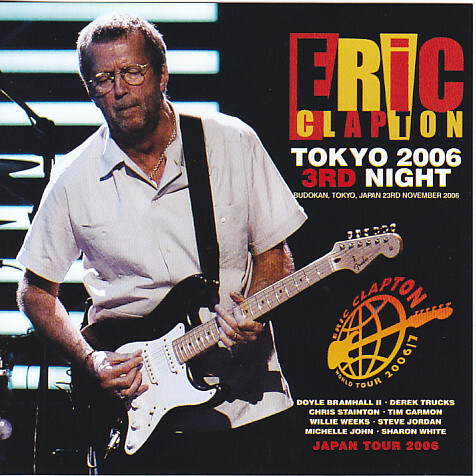 Following the last week of the press title “Tokyo 2009 6th Night”, and then release a new excavation has been master of Eric Clapton also this week! This board also like the “Tokyo 2009 6th Night” (Tricorn139 / 140) of last week, was previously released “TOKYO 2009 FIRST NIGHT: DEFINITIVE MASTER” (Tricone 101/102), “LIVE TOGETHER” (Tricone 095/096/097 / 098/099/100) our shop from the person that has been recorded at a high-spec equipment has been produced from the newly inherited was genuine first appearance of the master. 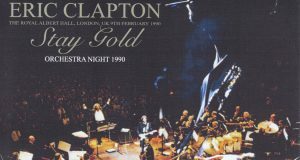 “Tokyo 2009 6th Night” Although it is let alone to the customer who purchased the, at the same Speaking of sound quality of the same level, and the other its clearness, good quality of the sound balance, breadth and powerful sound image gotten the stamp of approval It would also be good. Also it presents its outstanding panel of the day, but it is a appearance in the superb sound quality that even exceeds it. 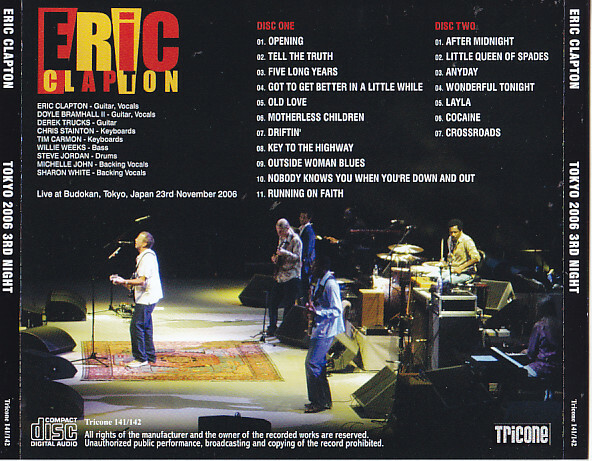 Speaking of the 2006 Japan tour, successive Clapton band, and in the performance, set list is the most buzz among fans, it is what you are getting the highest rating. It is why? 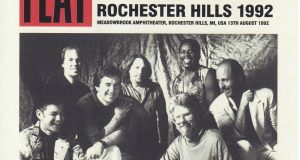 As a guitarist, that the Allman Brothers Derek Trucks and Doyle Bramhall II of Archangel had participated, as bassist, it was based on the New York, a number of name sessions in a number of fields that can not remain in lock That Willie Weeks, which has been in things be had, even, to participate in his latest solo album as the right arm of Keith Richards even recently, as a member of the John Mayer Trio and such session with the consumer Okuda Japan, name drummer to show the success of the all-round, it was a Steve Jordan is the reason. To once more had to have been hardened with luxurious talented musicians this because tour band, the quality of the performance was the high enough to odd no. Of course, in this performance it has been proven. This board, which is what was recorded the third day at the Nippon Budokan, Osaka performance was four consecutive from the first day that preceded it, set list while you go through the then lasted Nagoya two consecutive performances went rapidly changed. In this third day, finally for the first time in Tokyo, such as Anyday is played, to there was a surprise, early in the Got To Get Better In A Little While, Old Love, play Kirekire per Motherless Children, the young couple In response to stimulation to guitarist, it is one that realizes been inspired by the rhythm section of the iron-clad will come introduced from this “sound”. The momentum does not wane even in the second half at the interpolation do an acoustic set. 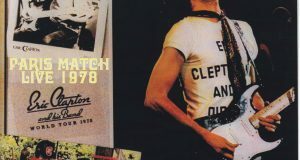 In a sense, Clapton Rashiku Clapton, you might want to say that it was one of the peaks was impressed the audience. This tour, is this performance was Susamajika~tsu so. Also a first appearance master we would like to renew its recognition. It will be a limited release of the first press only, thank you for your early order please.